Taos's latest foray into the sport-bike styled scooter market brings us the Powermax 150! This beautiful 150cc powered, fuel-sipping two seater is as much fun to look at as it is to ride! 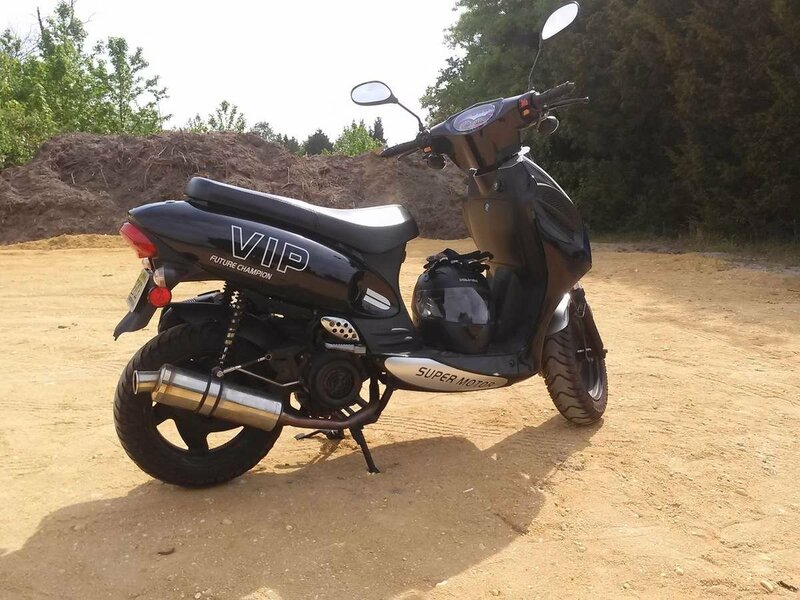 Awesome color choices and cool VIP graphics are just the first of a number of great features that make this one mean little moped! The Powermax sports keyed electric start and electronic CDI ignition for easy starting and smooth firing throughout the power band. There's even a manual kick-start for backup. The hydraulic suspension and light weight keep it agile over any road surface and in any neighborhood, and the full compliment of head lights, turn signals and brake lights and 55 MPH speed rating ensure it's legal in most areas. The Powermax is designed to ride and handle like a standard motorcycle with its twist throttle and standard hand brakes while still being comfortable for casual riders with its convenient trunk, front disc brake, automatic, belt drive transmission and cockpit style seating. There's plenty of room for two riders and more than enough power to handle up to 350 lbs. of payload. California Air Resources Board (CARB) approved! Check out our customer's review. TAOTAO Powermax 150cc Scooter - WWW.BIKE.CC from Bike.cc on Vimeo.